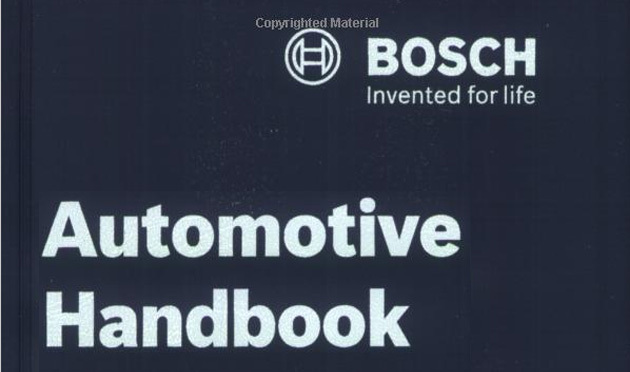 The BOSCH handbook series on different automotive technologies has become one of the most definitive sets of reference books that automotive engineers have at their disposal. This new edition of the highly regarded and easy to use reference contains just about anything relevant to automobile design, development and quality engineering. Providing concise technical data and insights with contributions by experts from automotive manufacturers, universities and Bosch itself. This book will benefit automotive engineers and design engineers, automotive technicians in training and mechanics and technicians in garages. It may also be of interest to teachers/ lecturers and students at vocational colleges, and enthusiasts. Automotive Subjects included for the first time: Aerodynamics, Analog and digital signal transmission, Coating systems, Commercial-vehicle braking management as the platform for commercial-vehicle driver assistance systems, Development methods and application-engineering tools for electronic systems, Diagnostics, Emissions reduction systems, Engine lubrication, Environmental management, Fleet management, Friction-engagement connections, Hydrostatics, Mechatronics, Mobile information services, Multimedia systems, Positive-engagement connections, Sound design, Vehicle wind tunnels, Workshops technology.